Published on February 18, 2017. Belgium, like the USA, is awash in new breweries these days. The craft beer trend is alive and well, and the only real problem is identifying the breweries that are routinely making very interesting beers from those producing what might be considered good, but not great, brews. 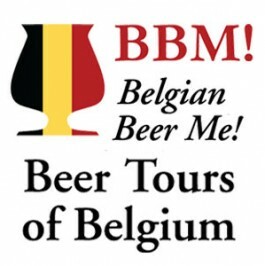 After all, Belgium has plenty of average to above average beers coming from the 225 or so brouwerijen and brasseries now operating in the country. Identifying the breweries that are likely to be among the new Belgian standouts is not always easy, but with some background info, it can be done. One such brewery is likely to be Amburon Belgian Craftbrewery, which opened last October. It is located a few kilometers outside of Tongeren, the oldest city in Belgium. Tongeren is in Limburg Province, about an hour and a half drive east of Brussels. The Dutch city of Maastricht is twenty minutes east. Amburon was co-founded by Davy Daniëls, who has worked in the Belgian beer world for most of his life. Daniëls helped start Brouwerij Anders with Bart Durlet in 2011. Anders, much like De Proefbrouwerij in East Flanders, is a very technically proficient brewery that makes many different beers for different parties under contract. 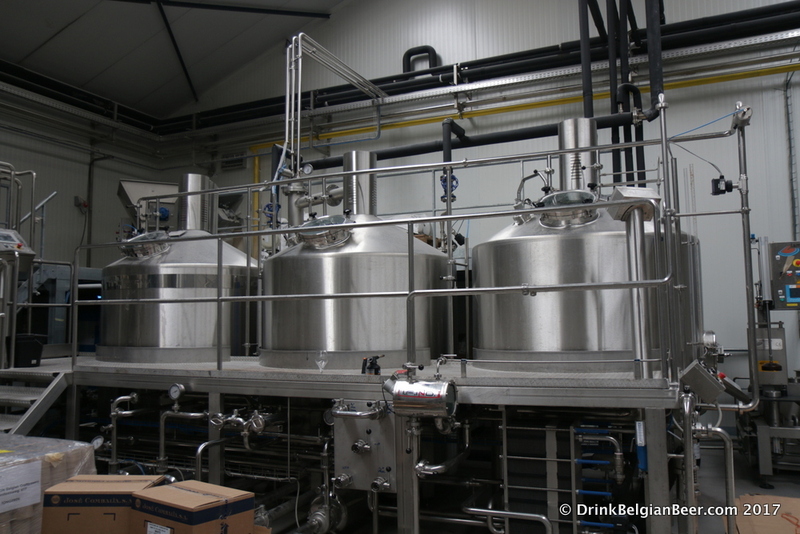 This is called label-brewing in Belgium, and the contracting entities are called beer firms. Daniëls worked from an early age at his father’s drinkmarket, which we would call a retail bottle shop stateside. 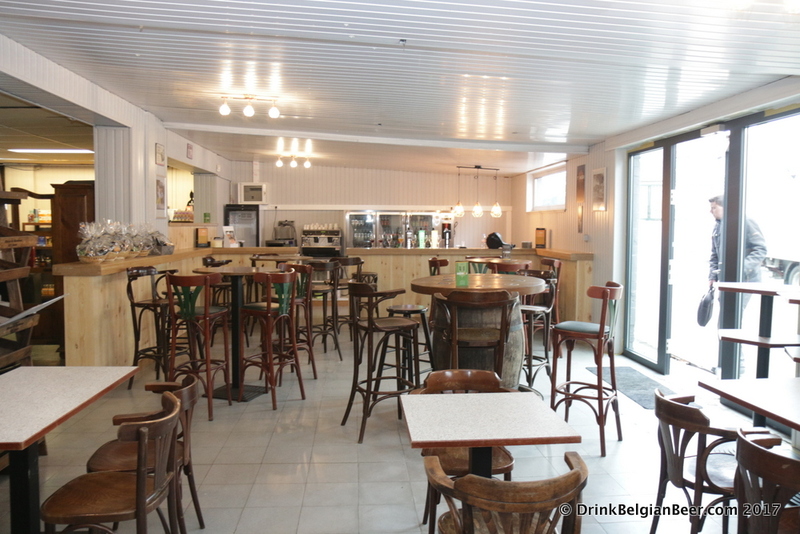 The Amburon brewery is steps away from the “Prik and Tik” Daniëls drinkmarket at Hasseltsesteenweg 611, and the brewery tasting room is inside. More on that later. The shop telephone is 012 / 23.65.84. Daniëls partnered with beer lovers/entrepreneurs Jan Jacobs and Carlo De Baere as co-founders of the Amburon brewery, and they brought on Bert Housen as master brewer, after he spent five years at Brouwerij Anders. 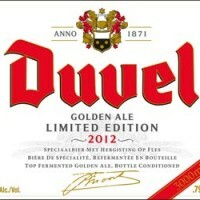 Daniëls is Managing Director of the brewery and is its Director of Sales and Marketing. 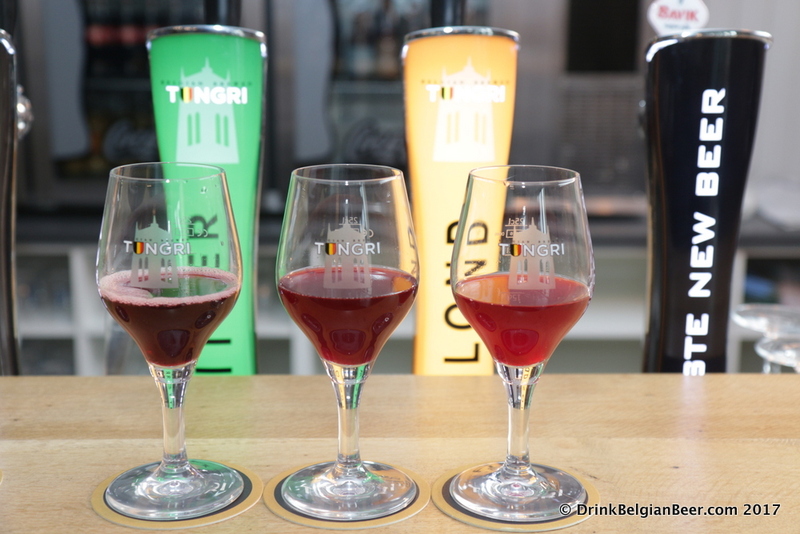 A trio of experimental fruit beers: from left, a beer made with noorderkrieken cherries; middle-a blackberry beer; and right, a breathtaking raspberry brew, also known as framboos or framboise. Like many breweries, Amburon has a standard range of beers, and will undertake many barrel-aging projects as well. Which is where things get interesting. 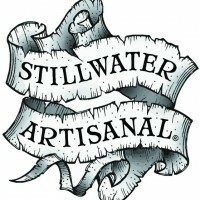 I sampled the brewery’s first experiments with fruit beers on Friday, February 10th. “These beers have been on oak for just one week,” remarked Daniëls, as he and Housen poured three different brews. “This is my first experiment at brewing fruit beers,” Housen remarked. The base beer for the Amburon fruit beers is an amber brew with 6% alcohol by volume. A pair of brand new 25-hectoliter foeders at Amburon. The first beer we tasted was a kriek made with noorderkrieken, a variety of Belgian cherry also used in brews such Verhaeghe’s Echte Kriekenbier. The as yet unnamed beer was aged in two brand new, 25-hectoliter (21-barrel) oak foeders built by the Wilhelm Eder company in Germany. “We used 400 kilos of cherries per foeder,” Housen commented. This kriek was very good, despite being just a week on barrel. Left: four brand new, USA made, 200 liter oak barrels. The real revelation was a raspberry beer, known as a framboos in Dutch and framboise in French. 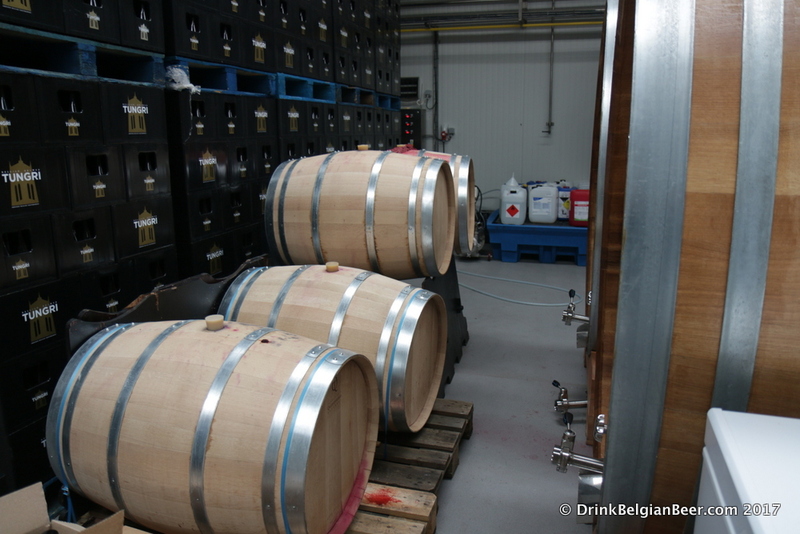 It was macerated with about 33 kilos of Belgian raspberries per barrel in new, USA built, 200-liter oak barrels. The aroma of fresh raspberries was breathtaking, and the taste, the same. This framboos was very intense, and I can only imagine what a few months of aging will do for it. 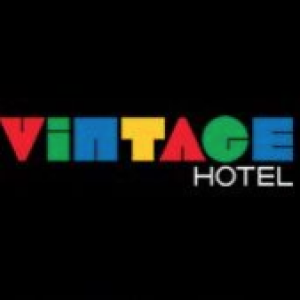 This will be one to seek out, for sure! A barrel filled with raspberries undergoing a very active fermentation. A beer brewed with Belgian blackberries (bramen in Dutch) was good, and Daniëls said they would likely do a blend of it with the noorderkrieken cherry. We did some blending at the bar, and the results were promising. As to the fruits used, the Haspengouw region of Limburg Province is Belgium’s primary fruit growing area. It’s a great place to have a brewery if you want to use local fruits, as Amburon will do. These first fruit-infused brews will be bottled and released for sale after several more months of barrel aging and possibly some blending. 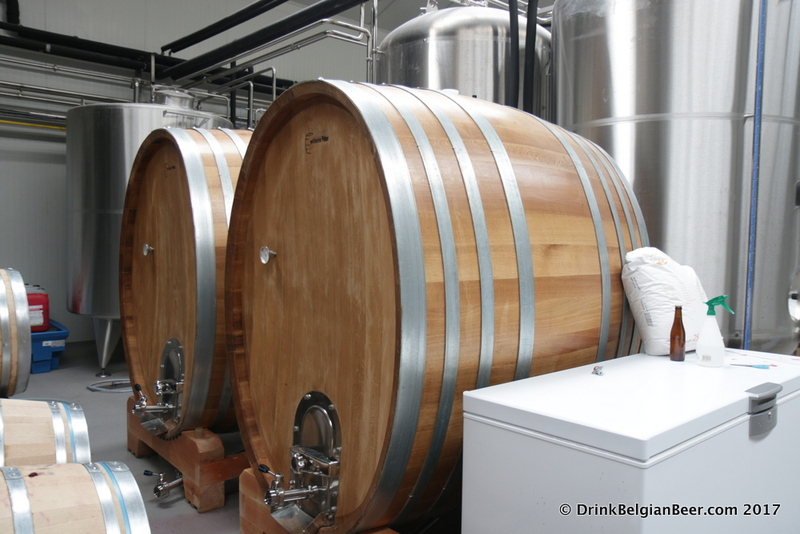 The next series of special beers from Amburon will be aged in second hand chardonnay barrels from Wijnkasteel Genoels-Elderen in Genoelselderen, a winery located between Tongeren and Maastricht. While Belgium does not have many wineries, this wine castle is one of its most famous. 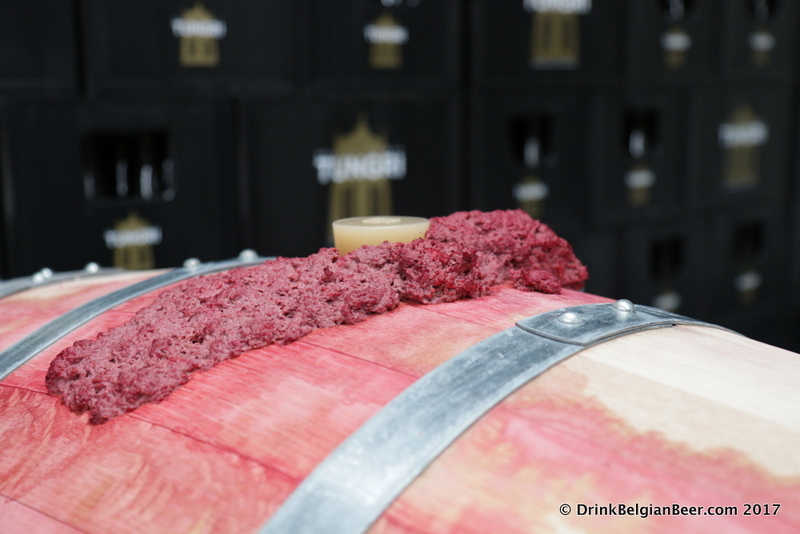 “We may age our Tungri Blond in these barrels as a first experiment,” Housen said. 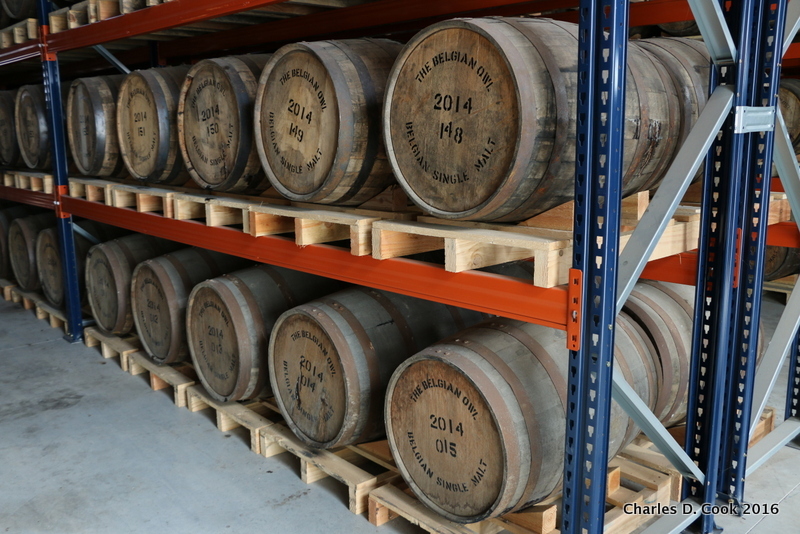 Belgian Owl Whisky barrels, ready to be filled at the distillery in May 2016. Inside one of the Belgian Owl Whisky distillery barrel rooms. 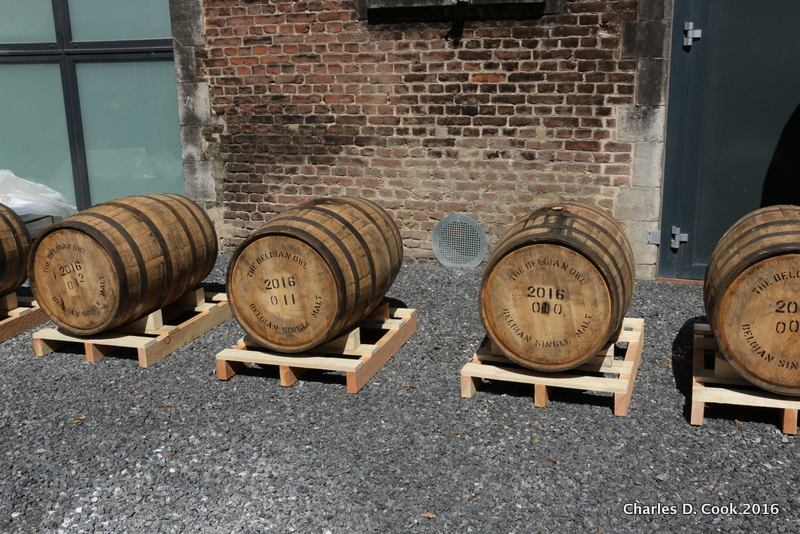 After the chardonnay series of beers will come the Whisky-barrel series, which will be aged in former Belgian Owl whisky barrels. 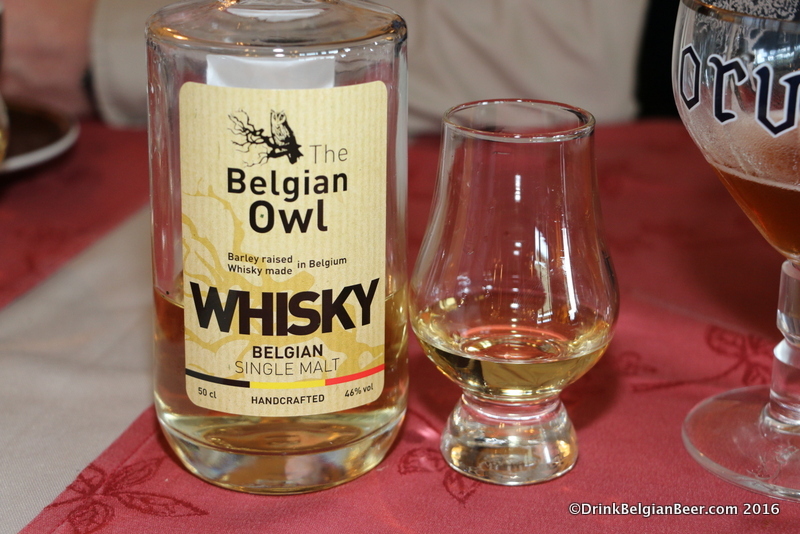 The Owl Distillery was the first whisky distillery in Belgium, and it is also by far the best known, and its whiskies are highly desired. The Owl distillery is located less than a half hour from the Amburon brewery, in Fexhe-le-Haut-Clocher, near Liege in French-speaking Wallonia. “We are really excited to have these former Belgian Owl barrels to work with, as we know aging with these can produce superb beers,” Daniëls remarked during my visit to the brewery. 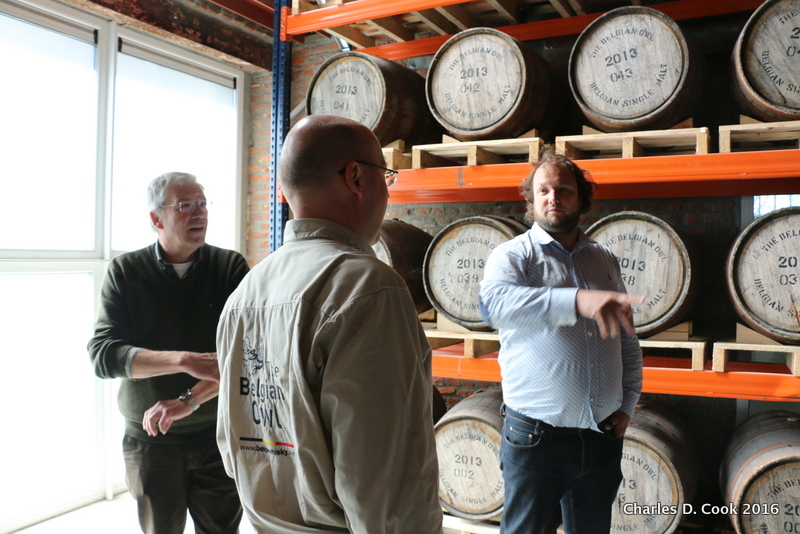 Davy Daniëls (right) in one of the barrel rooms at the Belgian Owl distillery. Master Distiller Etienne Bouillon is in the center. I have tasted beers from other Belgian breweries that had been aged in Belgian Owl barrels, and they were very special indeed. Strong Belgian ales, Imperial Stouts, and other styles mature well in these highly-sought after barrels, which are all former first fill Heaven Hill bourbon barrels. Yes, American oak. These three different series of special beers should make for a great start! 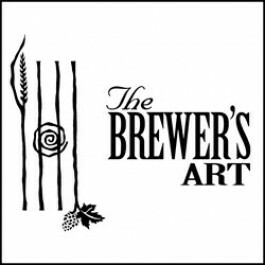 Also planned for the future are beers using wild yeasts. I look forward to those too. A glass of Tungri Blond. As to the flagship Amburon beers, they are all branded Tungri. The first is the Tungri Blond, a Belgian Strong Blonde ale with 7.5% abv, which has a slightly fruity aroma and a mild bitterness, and a big head of foam. Next is Tungri Bitter, a fruity blond beer with 35 IBU and brewed with several varieties of hops, also with 7.5% abv. It is slightly cloudy, and even cloudier in keg versus bottle. The last in the trio is Tungri Dubbel, a dark brown brew of 7% abv with a spicy taste, notes of caramel, and a slight bitterness. Like some of the best Belgian dubbels, it is fairly dry and not sweet. 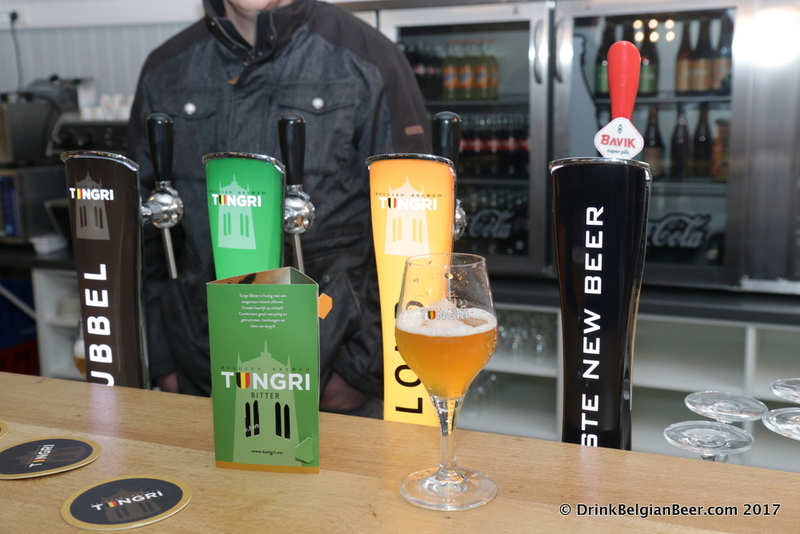 All of the Tungri beers are also unfiltered, unpasteurized, with refermentation in the bottle. 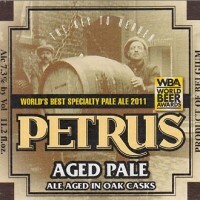 They are available in kegs as well as 33 cl bottles. These three brews are offered on tap and in bottles in the brewery’s new tasting room, which is at present open from 9 am to 6 pm Tuesday through Saturday. “When groups come for a visit on Sundays, we will open the drink market then as well. Also, when warmer weather arrives in the spring, we plan to open till 11 pm on Fridays and Saturdays,” Daniëls remarked. “We will also have a terrace (patio) outside with seating for 40 persons,” he added. Inside the tasting cafe at Amburon. It gets even better. You can order a Tungri on draft in the tasting cafe and savor it as you walk around and peruse the 700 or so beers on offer at the drinkmarket. The 2013 and 2015 vintages of HORAL’s Oude Geuze Mega Blend were still available during my visit, at just 12 euros for a 75 cl bottle. The standard range from Cantillon and 3 Fonteinen (their Oude Gueuze and Kriek beers) are typically on offer, as are lambics from Boon, Hanssens, Lindemans, Oud Beersel, and Timmermans. 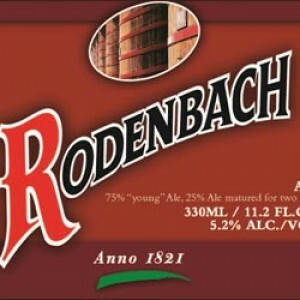 Rodenbach is well represented, as are many other regional beers and Trappist beers. The retail shop has a very good selection at what would be considered warehouse prices in Belgium. 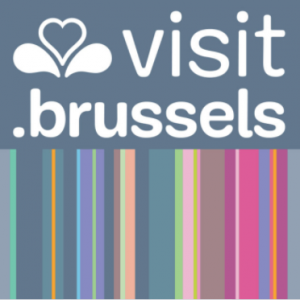 In addition, they also have a range of Belgian gins and genevers, as well as the very hard to find Belgian Owl Whisky, and Belgian whiskies from Stokerij de Molenberg (which is associated with the Het Anker brewery/Gouden Carolus beers.) All are at very good prices, such as about 50 euros for a 500 ml bottle of Belgian Owl whisky. 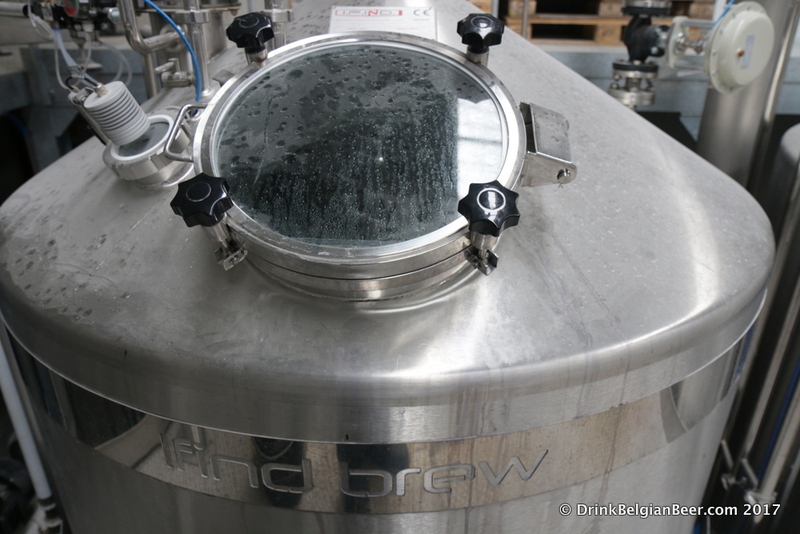 The Italian-built, 20-hectoliter brewhouse at Amburon. A brewing kettle at Amburon. Amburon has an Italian Food Industries-built 20-hectolier brewhouse (17 US barrels) as well an an Italian bottling line, and, at the moment, four 80-hectoliter fermenters. The brewery is inside the former warehouse of the drink market. Tours will likely be offered in the future, and the site is well suited to visits from buses (coaches) for groups, as there is parking on the main road adjacent to the brewery. See: for more info.